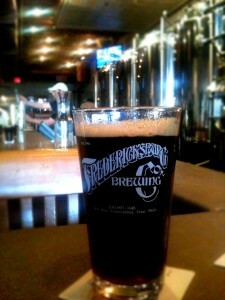 Fredericksburg, Texas – like most other German settlements in Texas – has always had a good relationship with beer. Almost as soon as the settlers finished building their homes, their churches, and schools, they seemed to ask “Who brought beer?” In most communities, the first brewers were hoteliers. Nimitz Brewery – Captain Charles Nimitz was born in Bremen, Germany on November 9,1826. At age 14 he served in the German Merchant Marine. He arrived in South Carolina in early 1844. His family operated a hotel near Fort Sumter at Charleston. In 1846, he found himself on one of the first wagon trains to Fredericksburg. 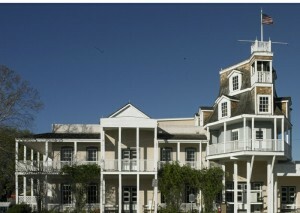 In 1852, Nimitz began running a hotel in Fredericksburg, though he didn’t own the property until 1855. That is likely when he opened his brewery in the cellar under the saloon. The Civil War made getting ingredients difficult, and he closed his brewery shortly after the war started. Assig/Probst Brewery – Dr. Adolph Assig owned a house on the North bank of Town Creek. In March 1857, he borrowed $850 from Frank van der Stucken to buy equipment for a wheat beer brewery. Assig’s wheat beer had a reputation for its quality and purity. Members of visiting singing societies who often visited Fredericksburg drank the beer as fast as it could it they could tap it. In 1860, Frederick Probst worked at the brewery as a cooper, making barrels for Assig’s beer. In 1861, Assig moved to Blanco, leaving the brewery to Probst, who moved the brewery to West Austin Street. Probst brewed through the Civil War, barely surviving. After the war things improved until the big breweries in San Antonio arrived in town. Probst beer cost a dime in Fredericksburg’s saloons, while ice cold Lone Star, Pearl, Schlitz, and Budweiser all cost a nickel. Probst closed his brewery in 1895. Pedernales Brewing Company, 97 Hitchin Post Lane, was founded by Lee Hereford in 2012, who had the idea to brew classic beers. The company enjoyed statewide distribution for 5 and a half years, closing in late 2017. After Prohibition ended, only the large breweries could reopen. In the early 1990s, Brew Pubs were legalized in Texas, and Fredericksburg Brewing Company, 245 East Main, was one of the first pubs to open and is the oldest brew pub in the state. The current brewmaster is Rick Green. There are other breweries within driving distance: Pint and Plow Brewing Company and Basement Brewers of Texas in Kerrville; Pecan Street Brewing in Johnson City; Real Ale Brewing Company in Blanco (Open house on Thursday through Saturday); Jester King, Twisted X Brewing Company, The Barber Shop, and Last Stand Brewing Company in the Dripping Springs area; and Double Horn Brewery and Save the World Brewing in Marble Falls. Elk Store Winery and Distillery, 327 East Main Street, makes brandy, moonshine and gin. Garrison Brothers, 1827 Hye Albert Rd., Hye, Texas, offers tours 10:00, 12:00, 2:00 or 4:00 Wednesday through Sunday. Note: Saturday tours are $20.00 and require a reservation (available on their website). Other tours are $10.00/person. Hye Rum , 11247 Hwy. 290 West, makes three different rums for cocktails. Coming soon is Spirited Oak Distillery. 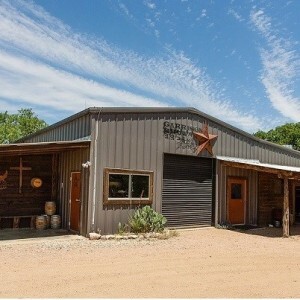 Hill Country Distilling in Comfort, Texas makes moonshine. Revolution Distilling in the Dripping Springs area makes gin. Both are within a half hour drive from Fredericksburg.